Punch magazine cartoonist who penned many motoring cartoons. 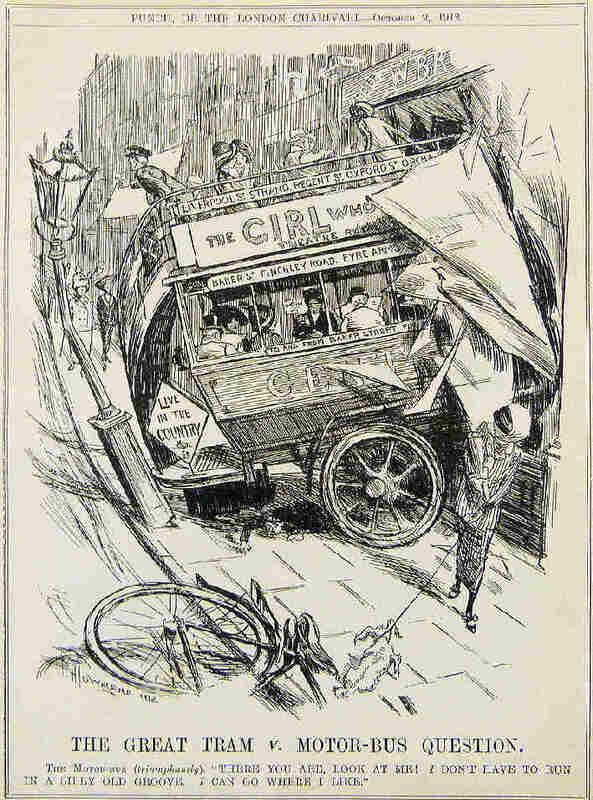 Became Punch's first Art Editor in 1905. 1912 Cartoon from Punch. The Motor-Bus Triumphantly. There you are, look at me! I dont have to run in a silly old groove. I can go anywhere I like. Image courtesy of Stuart Middlemiss.